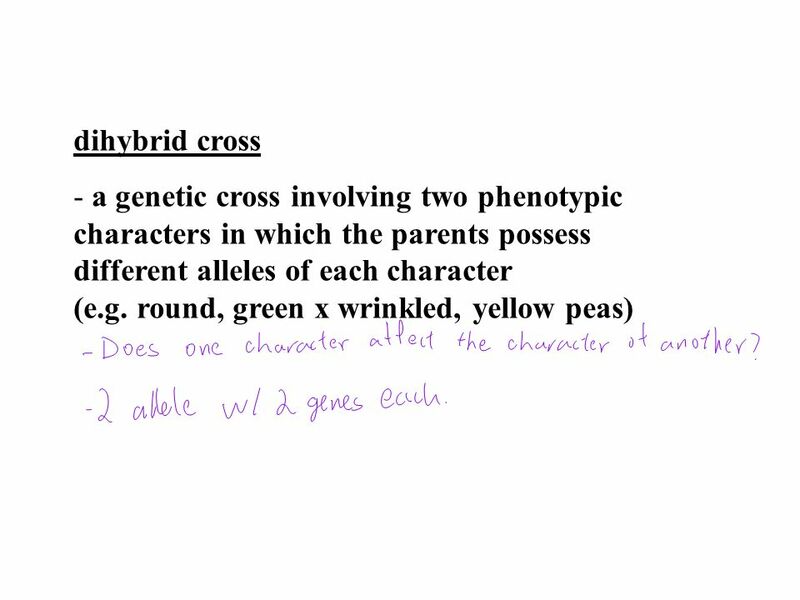 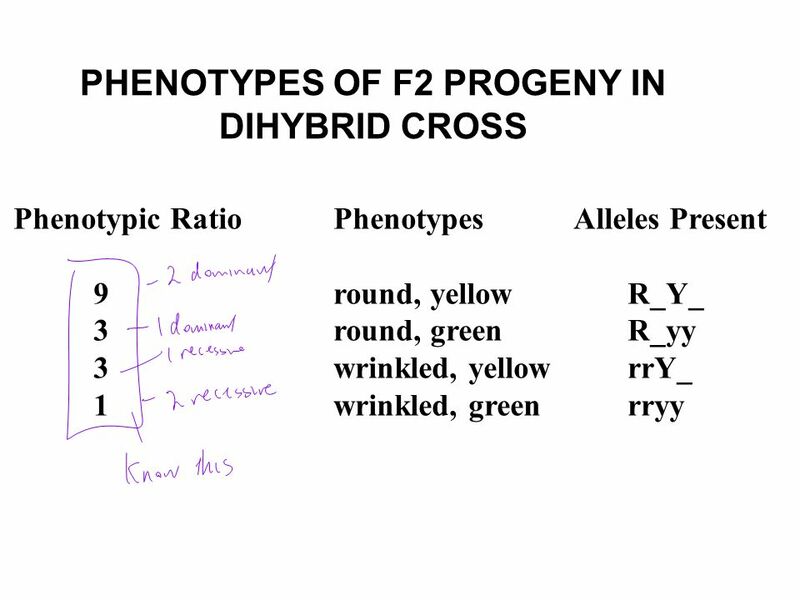 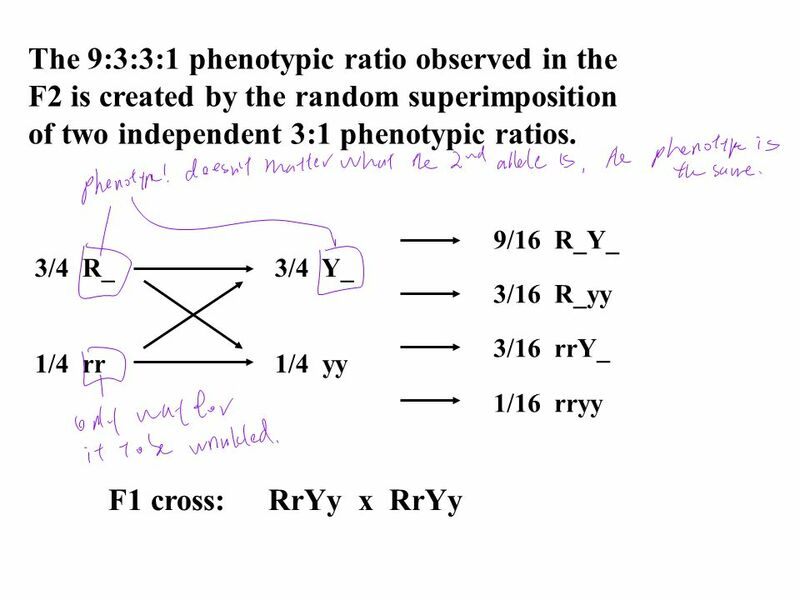 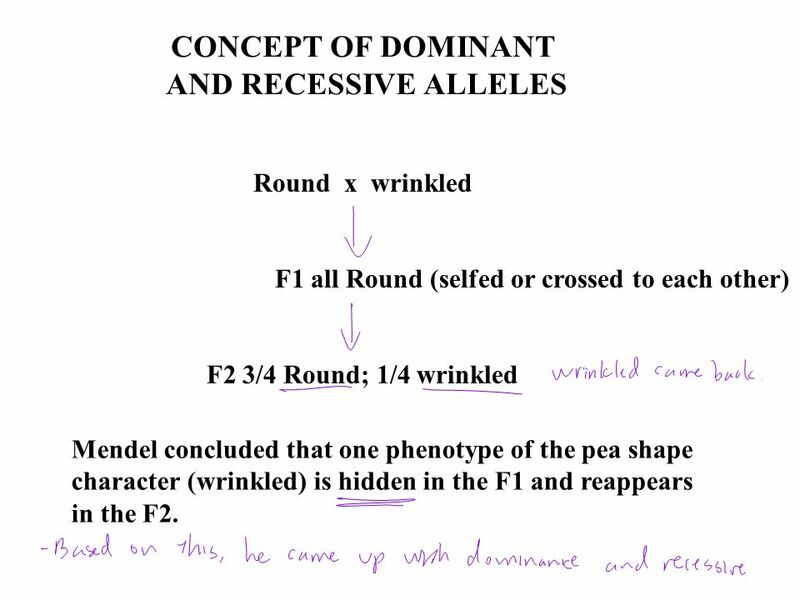 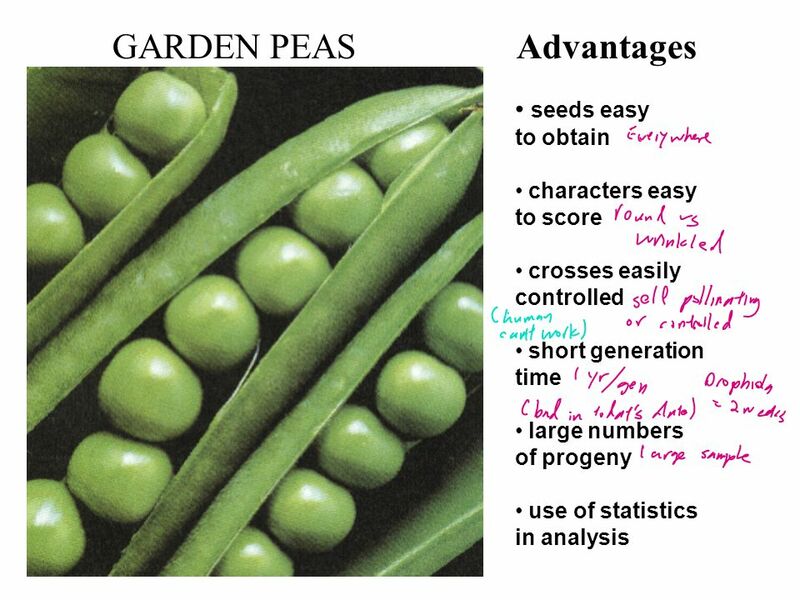 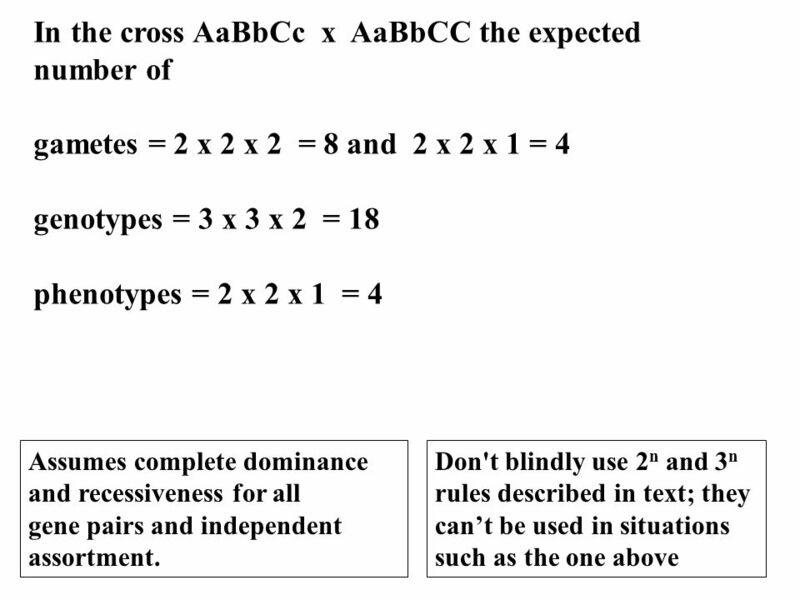 CONCEPT OF DOMINANT AND RECESSIVE ALLELES Round x wrinkled F1 all Round (selfed or crossed to each other) F2 3/4 Round; 1/4 wrinkled Mendel concluded that one phenotype of the pea shape character (wrinkled) is hidden in the F1 and reappears in the F2. 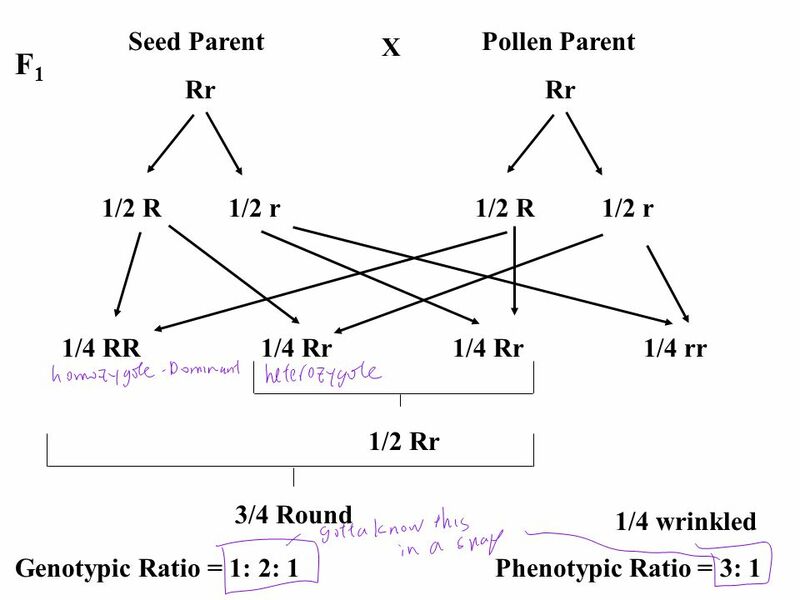 Mendelian Genetics The term ‘Mendelian genetics’ typically relates to the outcomes of simple dominant and recessive gene pairings Shows specific ratios. 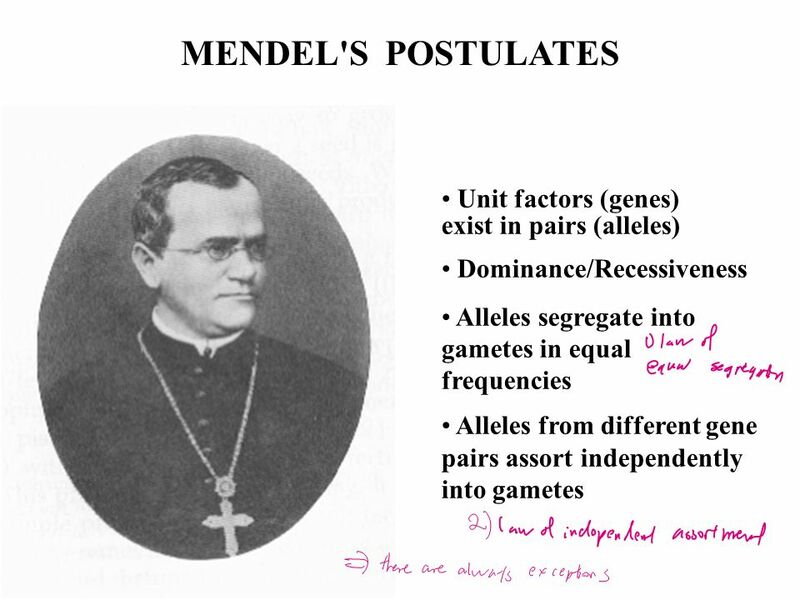 Mendelian Genetics. 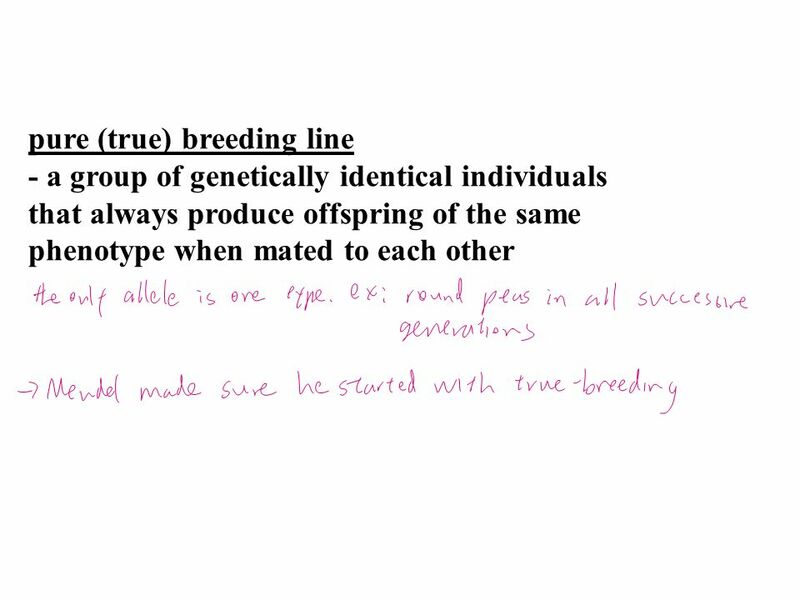  Also referred to as “transmission genetics”  Principles that describe how traits are passed from parents to offspring. 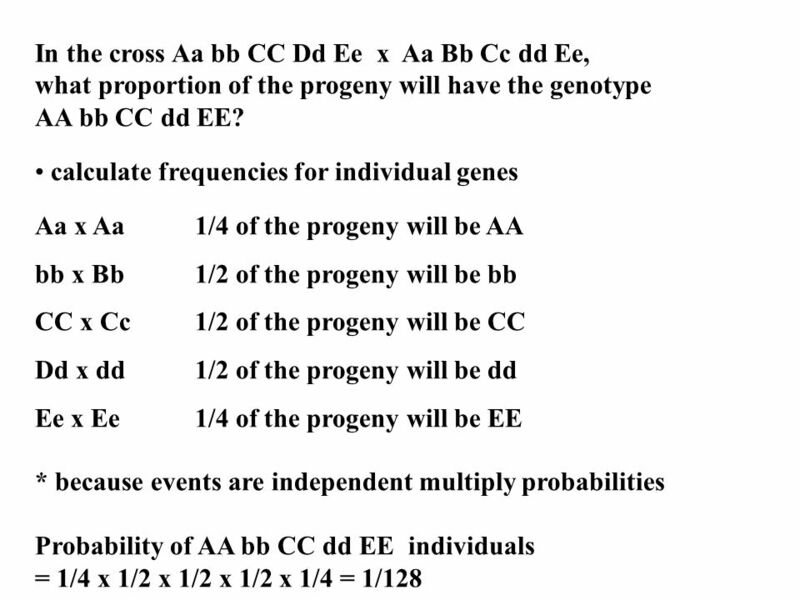 are responsible. 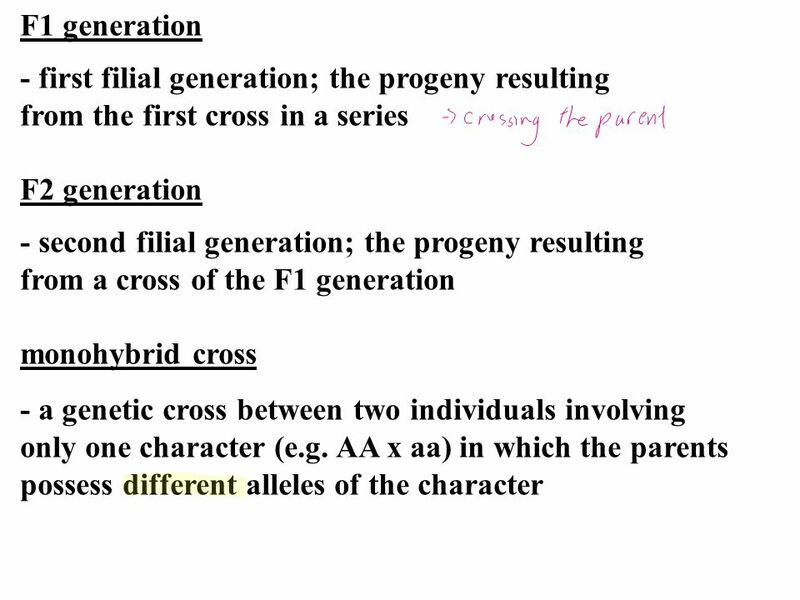 Genetics TAKE OUT YOUR TEXT BOOK Chapter 11-1. 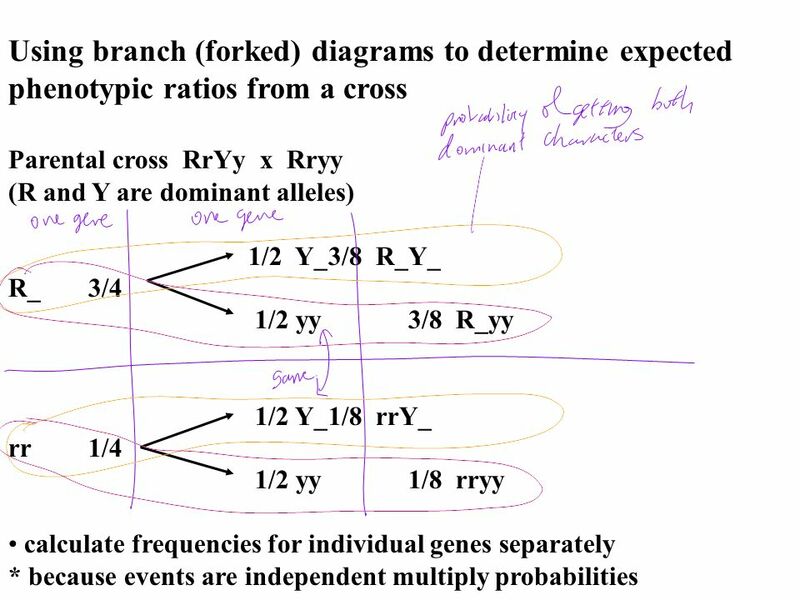 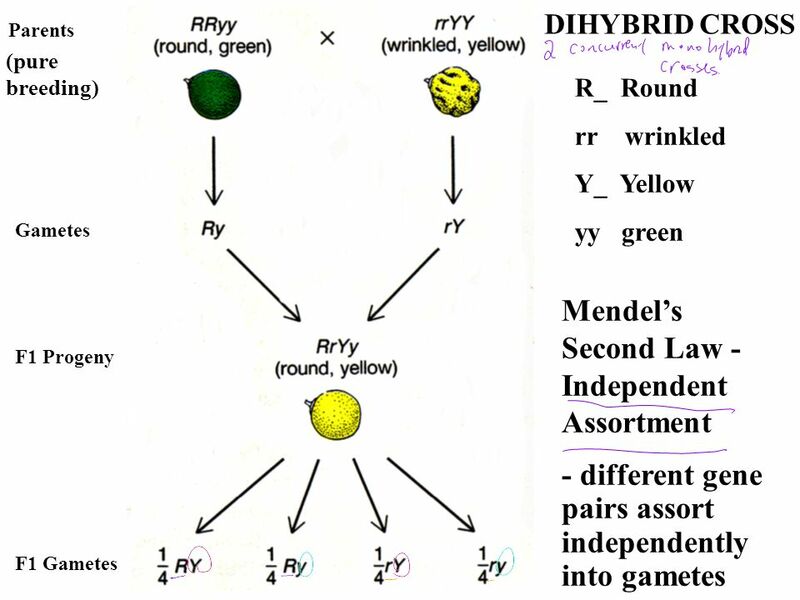 Mendelian Genetics The principles of probability can be used to predict the outcome of genetic crosses Probability - The likelihood that a particular event. 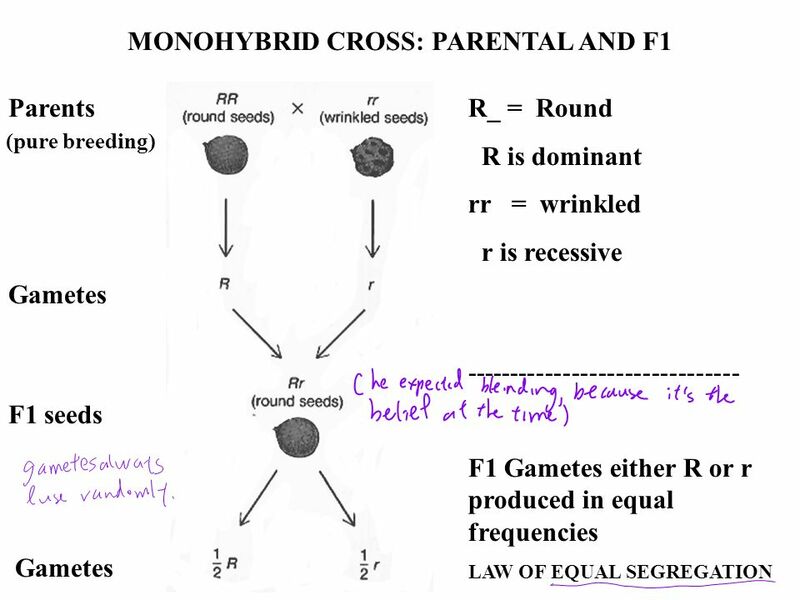 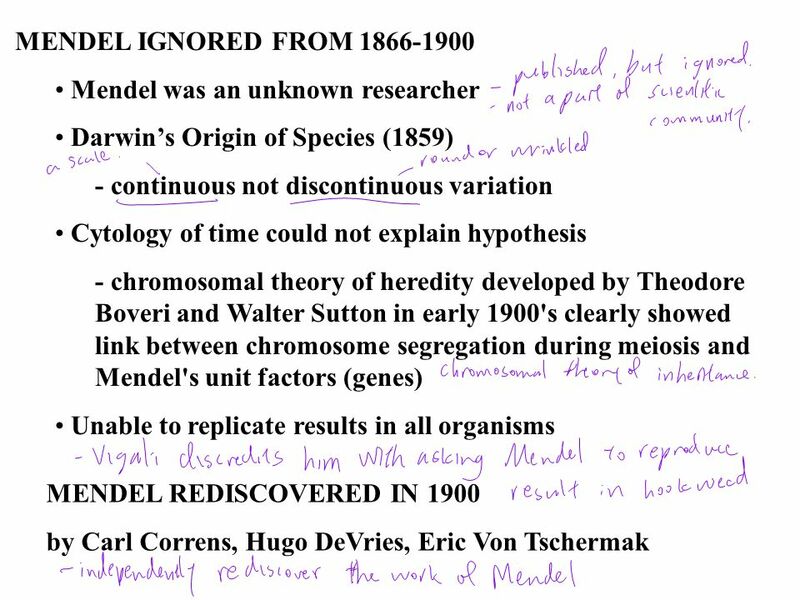 Mendel and Genetic Crosses. 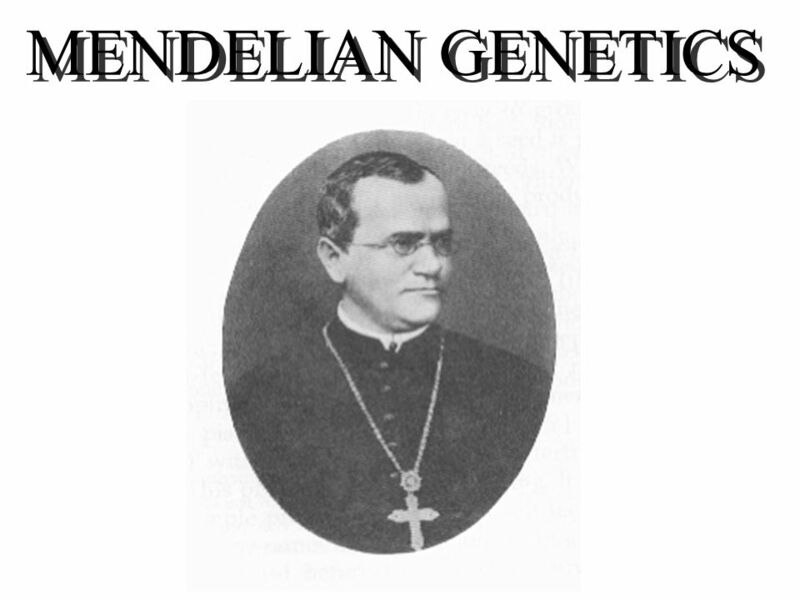 Mendel Gregor Mendel – botanist Studied inheritance through pea plants 1850’s Pea plants – sexual reproduction Usually self-fertilize. 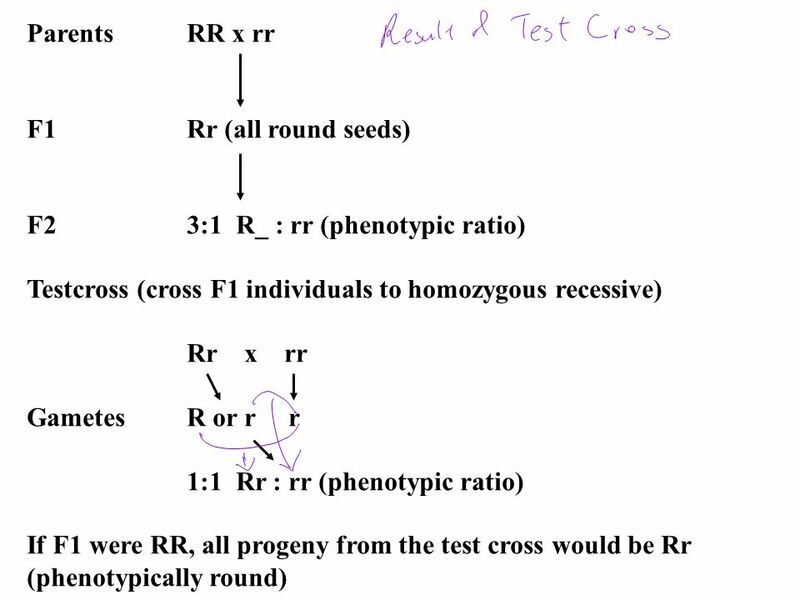 Patterns of Inheritance Chapter 9. 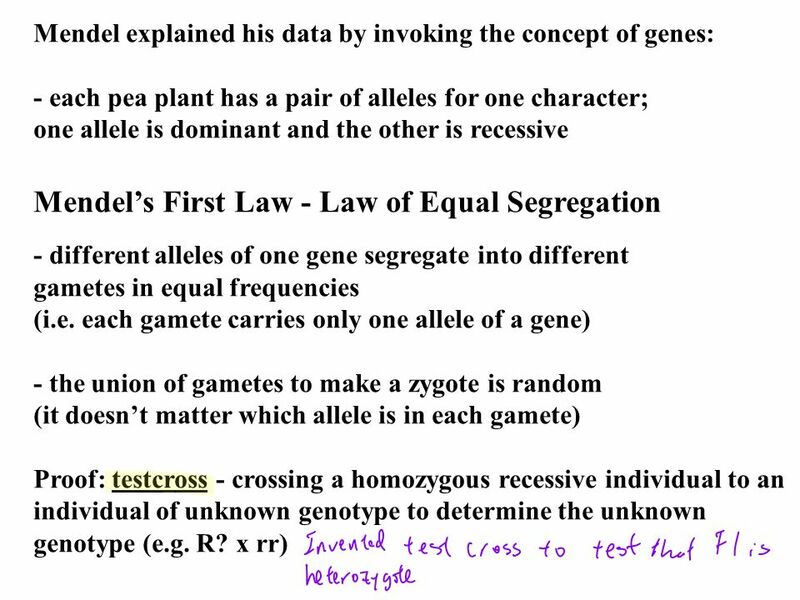 Genetics The science of heredity. 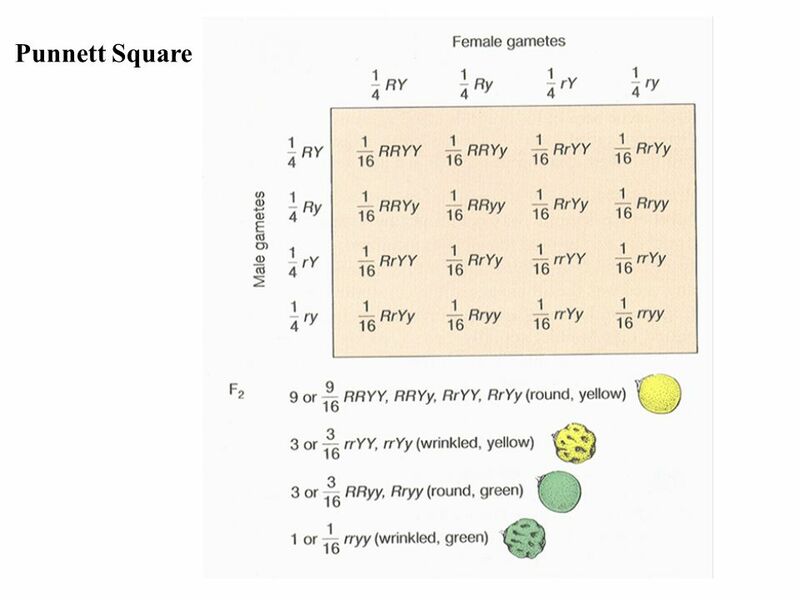 A distinct genetic makeup results in a distinct set of physical and behavioral characteristics.